Volkswagen and Porsche have a shared history going back to the 1930s, beginning with Dr. Ferdinand Porsche and his design, the VW Beetle; it was the mechanical basis for the company’s first production sports car, the 356. In the late 1960s, Volkswagen was looking to replace the sporty yet aging Karmann Ghia, and Porsche was developing a replacement for the entry-level 912. Ferdinand’s son Ferry Porsche and then-VW head Heinz Nordhoff struck a deal in which both companies would share the model; a Porsche design with a Volkswagen air-cooled engine. When Nordhoff died unexpectedly in 1968 his successor Kurt Lotz did not see the need to honor the verbal agreement, and the car was sold in Europe as a VW-Porsche. It was simply sold as a Porsche in the US. 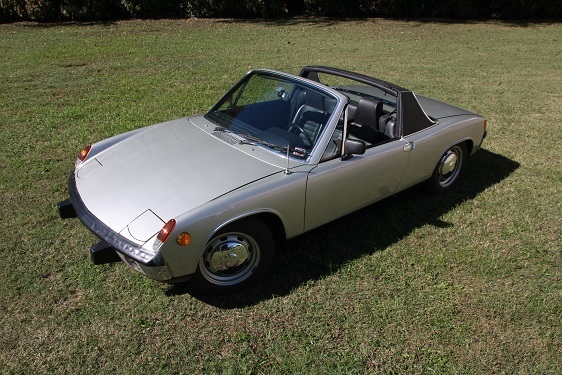 When the 914 debuted in 1969, its mid-engine design was heralded for its sharp handling. Initially the 914 came with an 80 hp, 1.7L flat four. Acceleration, though, was lackluster. Porsche addressed this with the option of the 6-cylinder 914/6. 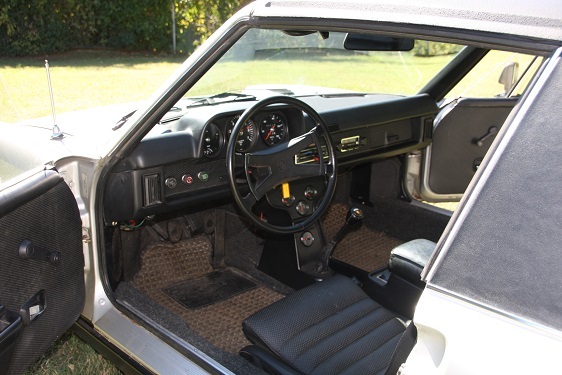 However, its price tag was close to the 911’s, making the 914/6 a sales flop. Porsche discontinued it in 1972, replacing it with an optional 2.0L four cylinder. A larger 1.8L flat four (84hp) replaced the base 1.7L in 1974. The 914 was discontinued in 1976. 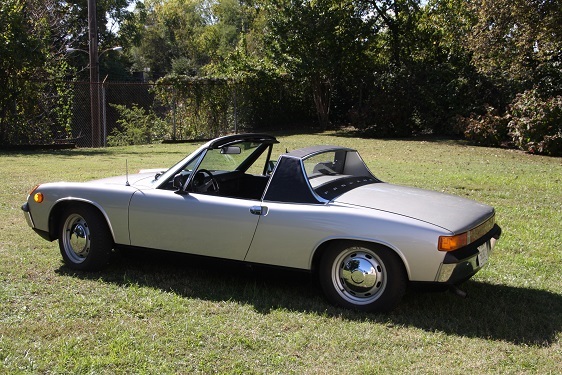 This 914 had one owner: Dennis Kolsun of Pittsburgh, PA. He only drove it 30,000 miles before parking it in his mother’s garage where it sat for the next 30 years. Mr. Kolsun and his mechanic, a friend of the museum from the Pittsburgh area, were the only two people to have driven this car prior to the museum’s acquisition in 2015.